Bedwetting (nocturnal enuresis) and daytime incontinence can be a source of frustration for parents and children. Children, especially as they get older, can feel embarrassed, anxious, ashamed and even angry about their day- and night-time wetting. Parents often feel confused, worried and sometimes even exasperated as they try to understand why the child cannot control his or her urination. At the CHOC Children’s Urology Center Bedwetting and Daytime Incontinence Program, we understand these frustrations, and work with children and their families to find solutions. Day- and night-time wetting is typically kept a secret among families, leading many to believe that no one will understand what they are going through or that there is no actual medical treatment for the problem. Yet according to the American Academy of Pediatrics (AAP), nighttime bedwetting affects 5 million children older than age 6 in the U.S. Also, about 25% of school aged children have some form of voiding dysfunction. Bedwetting that continues beyond the age of 5 can impact a child’s self esteem and create a sense of isolation, according to Christopher Link, post-doctoral fellow in CHOC Children’s Pediatric Psychology Department. Chris recently sat down with CHOC Radio host Bryan Mundia to talk about what parents can do to help their children cope with bedwetting. 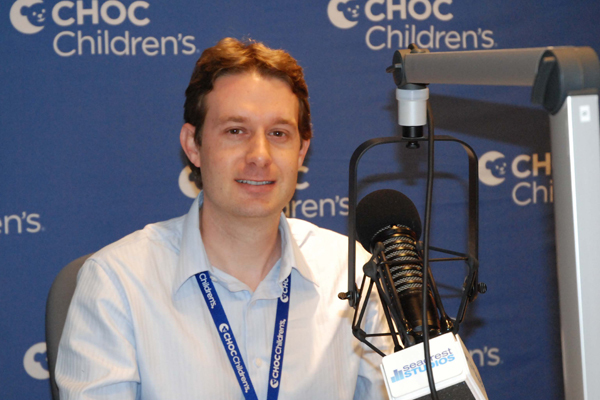 In this segment from American Health Journal, Dr. Tony Khoury, Chief of Pediatric Urology at CHOC Children’s, offers parents solutions for their children’s bedwetting problems. A child that has never had a 6 month period of dryness at night. A child who has been dry at night for over 6 months at some point in their life but who is having accidents at night again. What are some key facts about nocturnal enuresis? 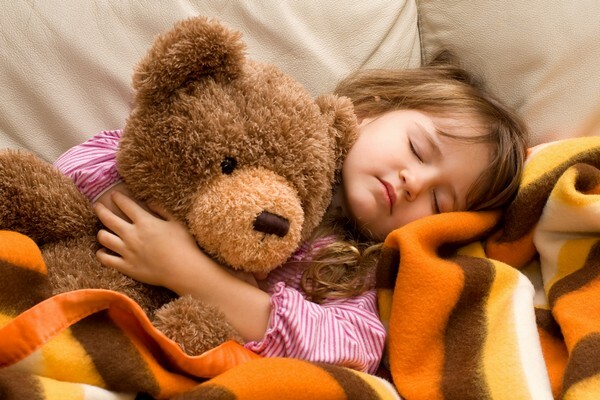 • Nocturnal enuresis occurs three times more frequently in boys than in girls. • Primary enuresis is the most common form of urinary incontinence among children. • It is estimated that nearly 25% of school-aged children have some form of incontinence. • If a parent had nocturnal enuresis as a child, there is a higher chance that their children will as well. • Nocturnal enuresis is very rarely an intentional act by a child. Normally the child is unable to control the urination at night and are unaware that they are urinating. • Maturity of a child’s bladder function. • Poor sleep habits or the presence of a sleep disorder. • Medication that affects sleep. Commonly the cause behind why a child is wetting at night is not determined. The communication between the bladder and the brain that works during the day to let a child know when they need to use the restroom is not functioning in the same manner at night. This is a process that improves as a child ages, but can take into teenage or adulthood to occur in some individuals. It is important to remember that nocturnal enuresis is very rarely an intentional act by a child. Normally the child is unable to control the urination at night and is unaware that he or she is urinating. • Urine tests (to make sure there is not an underlying infection, or condition such as diabetes). • Voiding diaries to better understand the size of a patient’s bladder. • Renal ultrasound to look for a physical anomaly in the urinary system. • Uroflow and post void residual tests. • KUB to look for constipation. • The child’s age, overall health and medical history. • Extent of the condition. • The child’s tolerance for specific medications, procedures or therapies. Prior to starting treatment, it is important for caregivers to understand that it is not the child’s fault and that he or she should never be punished. Children cannot control their bed wetting. According to the American Association of Pediatrics (AAP), enuresis usually goes away on its own in about 15 percent of affected children each year. It is estimated that nearly 1 in 4 school-aged children have some degree of incontinence, and is very common. • Positive reinforcement of the child (i.e., the use of sticker charts for dry nights). • Use of night-time alarms to help tell the child wake up while they are urinating. • Prescribed medications to help control the wetting for sleep-overs and vacations. • Decreasing fluids and avoiding caffeine at night (if the child has properly hydrated during the day). Learn more about the amount of water children should consume each day. • Medications may be recommended if the child’s bladder is found to be small for his or her age. • Management of constipation or poor water intake. In addition, counseling for the child and family may help to determine any stress the child may be under and can be beneficial. Bedwetting can frustrate parents and children who often feel embarrassed and anxious about this problem and suffer from low self-esteem. A child may need some motivation to work on staying dry at night. One option is to use an alarm with sensors that is placed on the child’s underwear and alerts the child when wetness is detected. Learn tips for coping with bedwetting. Urinary incontinence (UI) is the loss of urine control, or the inability to hold your urine for a reasonable amount of time before reaching a restroom. UI can strike at any age and can be a temporary condition or long term. It can range from the discomfort of slight losses of urine to severe, frequent wetting. Incontinence can be caused by a variety of concerns and will sometimes be the first or only symptom of a urinary tract infection. It may also be caused by bladder instability, small bladder capacities, poor water intake or other concerns. We carefully assess our patients to figure out the cause of each child’s incontinence. During strong sudden urges to urinate a person is unable to hold their urine long enough to reach a restroom. People with this type of incontinence may leak urine during exercise, coughing, sneezing, laughing, lifting heavy objects or other body movements that put pressure on the bladder. This type of incontinence is more common in adults. Leakage due to a difficulty reaching a restroom in time because of a physical condition. Leakage that occurs when the quantity of urine produced exceeds the bladder’s capacity to hold it. • Inability to urinate when feeling the urge to void. • Pain related to filling the bladder and/or pain related to urination. • Progressive weakness of the urinary stream with or without a feeling of incomplete bladder emptying. • An increased frequency of urination. • Needing to rush to the restroom and/or losing urine if you do not get to restroom in time. • Problems starting or stopping the flow of urine. The symptoms of urinary incontinence may resemble other conditions or medical problems. Our specialists will work carefully to accurately diagnose a child’s incontinence. • Extent and type of the incontinence. • Expectations for the course of the incontinence. • The caregiver’s opinion or preference. • Bladder training in which the child is taught to relax his or her bladder muscles while urinating. • Toileting assistance in which we work with the child’s family to set routines or scheduled toileting, habit training schedules and prompted voiding to empty the bladder regularly to prevent leaking. A child should be urinating about once every two hours, or seven times per day. • Increased water intake to ensure the child is hydrated. Clear urine is a sign of good hydration. Children should drink enough water so that their urine is clear every time he or she uses the restroom. Learn more about how much water children should drink. • Relieving constipation, as constipation can complicate urinary symptoms greatly. Constipation can cause the bladder to have abnormal contractions and can also introduce bacteria into the urinary system. Learn more about constipation. The goal of pelvic muscle rehabilitation is to improve pelvic muscle tone and prevent urine leakage. Biofeedback is the most common form of pelvic muscle rehabilitation in which a specialized nurse teaches patients how to use their pelvic floor muscles correctly. A child will use their pelvic floor muscles to play computer games to help increase their control of these muscles. Biofeedback is non-invasive but does require the placement of stickers with sensors onto their skin around the pelvic area. While evaluating a child’s incontinence, we look at the size of the child’s bladder. If the bladder is smaller than the average for the child’s age, the patient may be placed on medication to help the bladder relax and to grow. Most causes of incontinence will not require surgery. If the incontinence is related to structural problems such as an abnormally positioned ureter or sized urethra, a surgery may be recommended. Some foods and liquids can be irritating to the bladder and cause concerns of incontinence, urgency, dysuria or frequency. Learn more about bladder irritants. Children who will be seen in our office for incontinence, urgency of urination or frequency of urination should complete a voiding diary prior to their appointment. Please contact us with any questions.